Thriller is a viral video featuring the dancing inmates of a high security penitentiary. In 2007, the inmates of Cebu Provincial Detention and Rehabilitation Center (CPDRC), a maximum security prison in Cebu, in the Cebu Province of the Philippines, imitated the zombie dance featured in the music video of Michael Jackson's "Thriller". The footage, uploaded onto video sharing website YouTube, became an immediate internet hit and viral video. The idea behind the dance came from the prison's chief, Byron F. Garcia. Garcia first conceived the idea of exercising as an enjoyable way of keeping the prisoners mentally and physically fit. Music was then added to provide additional motivation. The convicts marched and danced to several songs, including "In the Navy" and "Y.M.C.A." by the Village People. Garcia posted the prisoners' dance regimes onto the internet in April 2007. The most popular of the presentations was their Thriller performance. 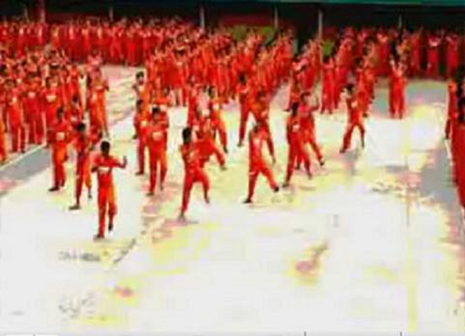 The video showed over 1,500 male inmates emulating Michael Jackson's dance moves from the original Thriller short film. Jackson fan Crisanto Nierre played the role of the pop star, with the openly gay former pizza chef Wenjiel Resane playing his girlfriend. The video became one of the most viewed on the internet, receiving 300,000 views per day at its peak. As of January 18, 2008, the Thriller viral video has received almost 15 million reported views. 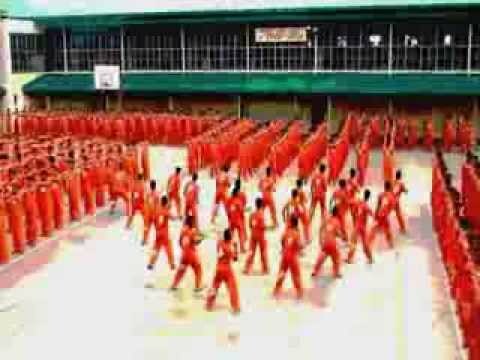 The clip also garnered complaints, with one professor stating that the dancing does not rehabilitate CPDRC inmates. The prison and its officers faced allegations of prisoner abuse, claims which both the officers and inmates denied. The prisoners have performed numerous other songs, including "Radio Gaga", "Together in Electric Dreams", "Holding Out for a Hero", and several songs from Sister Act. As a result of the prisoners' internet fame, many visitors come to CPDRC to view the monthly performances held by the convicts. Their presentations are seen from viewing platforms surrounding the exercise yard. At the jail, visitors can have their pictures taken with the inmates. They can also buy souvenir prison shirts. One of their performances involves the inmates holding portraits of figures such as the Dalai Lama, Pope John Paul II and Mahatma Gandhi.